Fusion L&D was awesome to work with! We used them during the construction of a new, modern custom home. As the owner and GC on the project, we were fortunate to work with Tammy Kluver from Fusion. Fusion, and more specifically, Tammy, were by far the easiest part of what was a long and complicated build. Tammy came to the jobsite a couple of times to help us coordinate the proper amount and placement of recessed fixtures. She really took the time to go the extra mile when it came time to find and procure our surface mounted lighting. Although we had a couple of quality issues with one of our hanging suspension lamps, Tammy and Fusion did what it took to make it all come together. 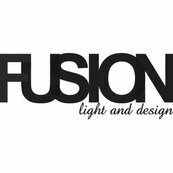 The next project we do, we will definitely be calling on both Tammy and Fusion for their exceptional design services!